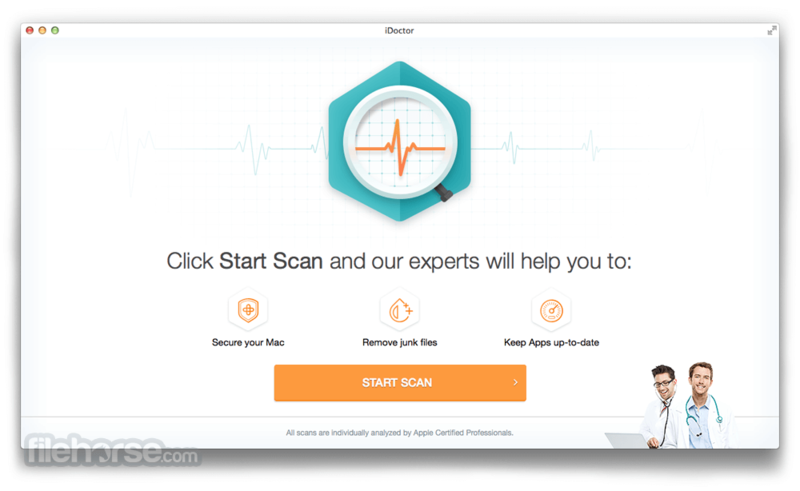 iDoctor is a first-aid kit for your Mac. With iDoctor, it's like having your personal support professional 24/7. 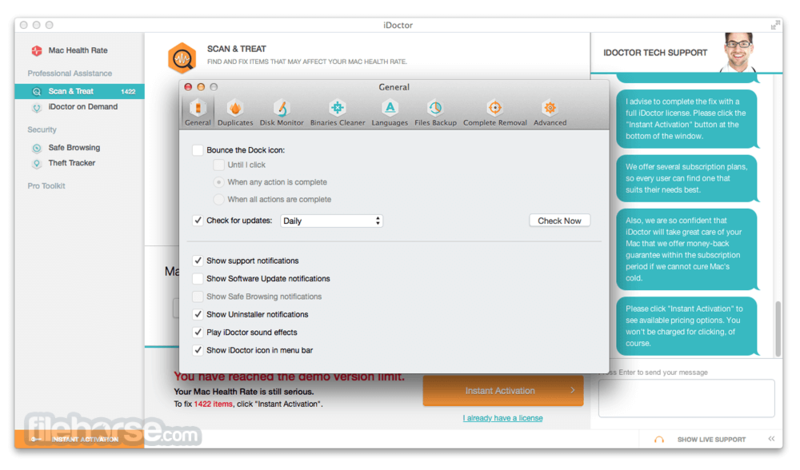 iDoctor equips Mac users with 15 cleaning and optimization tools to make their working on Mac easy and simply. With iDoctor's help you can also manage, encrypt, backup, recover or shred files with just a couple of mouse clicks. Thus, the Data Encryptor makes it possible to hide and protect sensitive data using a password. 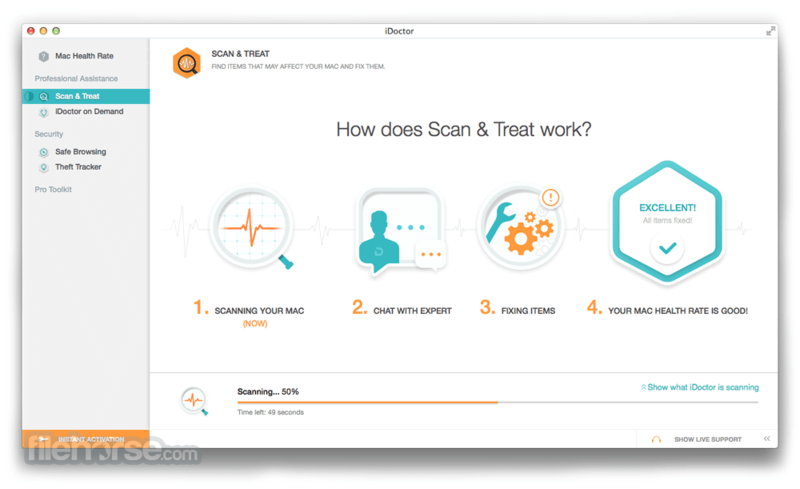 Also, iDoctor for Mac helps you scan your Mac's hard drive in order to reveal large files that you might not need anymore. In addition, the Duplicates Finder enables you to get rid of duplicate files while the Fast Cleanup feature finds and removes junk files. 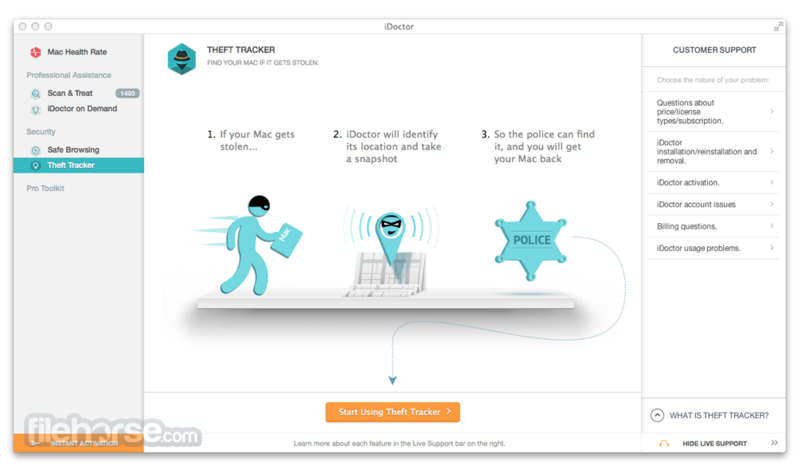 On top of that, iDoctor's Anti-Theft feature enables you to track your Mac and take snapshots of the thief using your Mac's built-in webcam in case your computer gets stolen. Duplicates Cleaner scans your computer for unnecessary file copies that can be deleted, even if they’re saved under different names. With App Uninstaller, you can cleanly remove applications and their related caches, preferences and logs, freeing up precious space on your Mac. Should you ever accidentally delete a file, you don’t have to worry. Simply run Restore Files to find the deleted file and recover it with minimum effort. Protect your most sensitive information with Files Encryptor, and you’ll never have to worry about prying eyes again. Data Finder lets you quickly search through your entire machine to locate the missing file. Boot up your Mac faster by choosing items you want to launch at startup with Login Items. No more scrolling through a list of applications to find the one you want. Your Mac will know exactly which application to use the next time you open that file type. Disk monitor visualises your hard drive usage in order for you to see exactly how the space is being used. With Quick Cleaning you can harmlessly remove unneeded files in order to free up additional hard drive space. Software Update lets you keep your applications up to date by notifying you of any available security patches, app performance optimizations or software upgrades. Backing up your important files is the easiest, fastest and most reliable way to keep them safe and secure. Complete Removal irretrievably deletes files you don’t ever want to see again so that that can never be recovered.